Solange Knowles is a singer, songwriter, and actress but is, however, best known for being the younger sister to Beyonce. 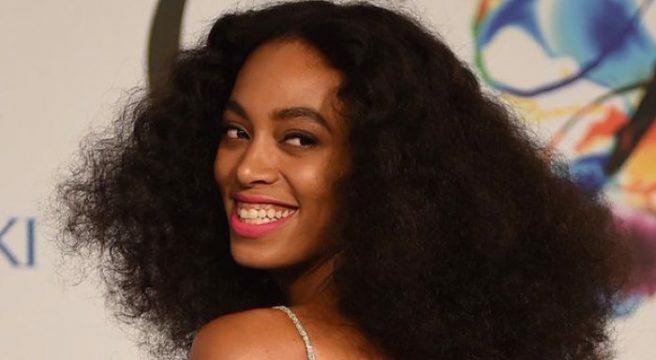 The younger Knowles daughter, who started her career as a backup dancer for Destiny Child and has ever since then been in the shadows of her superstar sister, has in her own respect won plaudits for her contributions to music. She is a Grammy, BET, Soul Train Music Award winner among many others. Solange was born Solange Piaget Knowles, the second daughter of Tina and Mathew Knowles, on June 24, 1986, in Houston, Texas. She is of African, Native American, and French ancestry. From a very young age, Solange had fallen in love with the Arts, most notably singing at amusement parks when she was just five. By the age of 9, she was already writing her own songs as she hoped to launch a singing career like her older sister. Her parents, however, made sure that their younger daughter was well of age before fully going into the music business. During this time, Solange notably appeared as a dancer for Destiny Child and on one occasion, replaced Kelly Rowland on stage following a medical emergency. Solange Knowles eventually signed a music deal with her father’s company – Music World Entertainment/Columbia Records – at the age of 16. Aside from working with Destiny Child, her first foray as an artist was singing in rapper Lil Romeo’s album. She also wrote songs for Rowland’s debut solo album. Following rumors that Solange might be joining Destiny Child to make the group a quartet, she released her debut album titled ‘Solo Star’ which debuted at number 49 on the Billboard 200 in 2003. After the album’s release, Solange Knowles took a break from singing to act, while also penning some hits like “Get Me Bodied” and “Upgrade U” for her sister. In 2008, she released her second album, ‘Sol-Angel and the Hadley St. Dreams’ under Geffen Records which was regarded as a much better effort compared to her debut album and it peaked at number nine on US Billboard 200 chart. Despite the critical acclaim, the album did not enjoy commercial success prompting her to leave Geffen. In 2012, under Terrible Records, she released her third body of work, an EP titled ‘True’ which was inspired by 1980s pop and R&B. In 2016, Solange Knowles released her fourth work but third solo studio album ‘A Seat at the Table’ and it gave her the commercial success she had been working to achieve for so long. The album went straight to number one in the United States as she picked up a Grammy for Best R&B Performance for the single “Cranes in the Sky”. Solange Knowles has over the past few years, become very active in the entertainment industry, working as a DJ, model, businesswoman, and fashion designer. Add that to what she took home from her album and concert ticket sales, following her recent critically acclaimed work, and it explains why she is reported to have an estimated net worth of $8 million. Read Also: Sam Smith Bio, Weight Loss, Net Worth, Is He Gay, Who Is The Boyfriend? Solange’s father, Mathew Knowles, has been credited for the successes of Destiny Child’s music as well as that of the individual careers of its other members; Michelle Williams and Kelly Rowland which he managed under the Music World Artist Management imprint. The former Xerox Corporation salesman, who spends part of his time now as a visiting professor at Texas Southern University, is noted for his contribution to music. He has for over a long period of time been an active voting member of the National Academy of Recording Arts and Sciences (NARAS) while also serving on the Grammy Board Committee and the Board of Directors of the Gospel Music Association. Solange Knowles is currently in her second marriage. She was first married to Daniel Smith, who was 19 years of age, while she was 17, at the time of their marriage. Together they had a son named Daniel Julez J. Smith, Jr., born in October 2004. The couple divorced in 2007 but, however, maintained a cordial relationship as they co-parented their child. 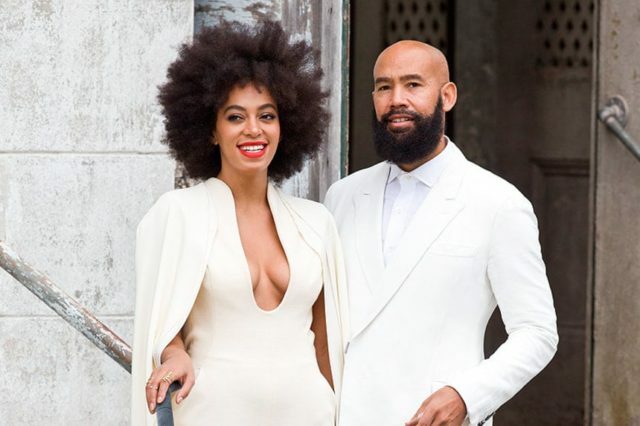 In November 2014, Knowles walked down the aisle again, tying the knot with her longtime boyfriend, music video director, Alan Ferguson in New Orleans, Louisiana.